Why no Democrat is worried about losing Pennsylvania. I don’t know any Democrats here that are worried about losing Pennsylvania to Mitt Romney. That’s in large part because—far more than Ohio, with which it is often paired—Pennsylvania has become a state that Democrats think they can win on mobilization alone. Any scenario for Romney to win Pennsylvania has to be predicated on the assumption that Obama will fail to mobilize black voters even at the levels John Kerry did. So it’s a nice little synecdoche for the turnout assumptions that seem to have guided Romney’s strategy all year and that sustain the disbelief Republicans who see his internal polls have about the public polls showing Obama leading just about everywhere. Late moves by Romney and his allies to get on TV here seem like they may be evidence of what I think of as supply-side campaigning. Available spending opportunities narrow in the final days of a campaign: Several weeks before election day is too late to open and equip field offices, hire and train staff. A week out it is too late to print new direct mail and get it into the system. One reason robocalls remain persistent in our political culture, even though there’s good evidence they’re ineffective, is that when you get to the final weekend there’s nothing else to spend money on. The Romney campaign has had unpredictable cash flow, and like the Obama campaign, is making a lot of spending decisions not based on tactical acumen or a broader strategy but a need to spend it all by the close of business. (Remember that Kerry squirreled away millions in 2004 in anticipation of a recount, and has been mocked for it ever since. Seemed prudent to me!) 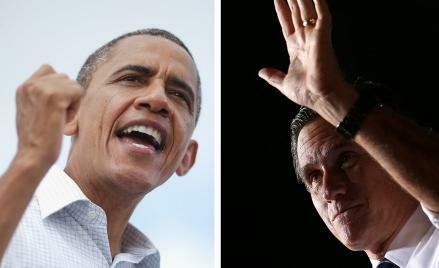 Obama has produced early-vote Frisbees distributed on Ohio college campuses; Romney has purchased TV ads in states where he barely invested a dollar until last week. Why Pennsylvania? There’s inventory available on local stations because the campaigns and outside groups have treated the state as a foregone conclusion for months, and the Senate race turned out to be a dud. So unlike in the other battlegrounds, you can still buy last-minute TV time in Pennsylvania. I’ll be keeping my 215 number on in the hopes of catching a robocall or two.